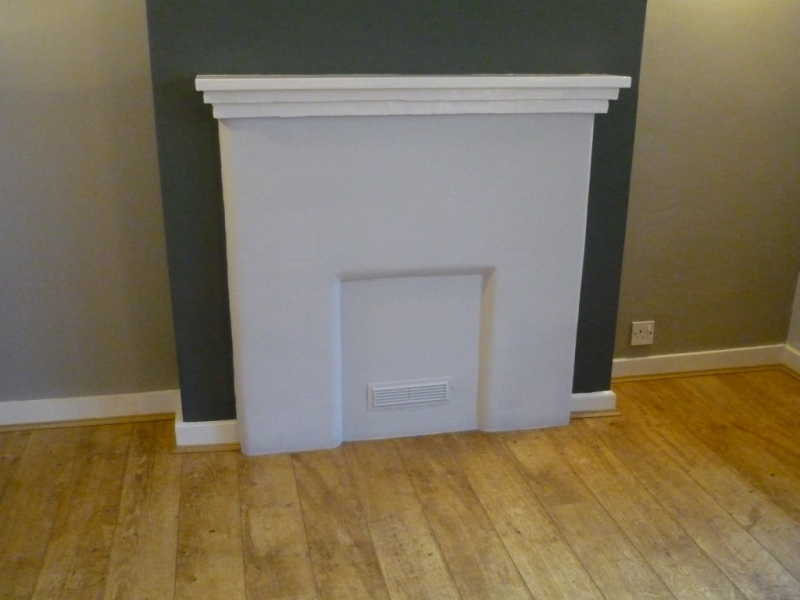 This particular stove project came to The Billington Partnership came through recommendation by a previous client. These clients owned a wonderful house in Headley which had previously been a farmhouse. 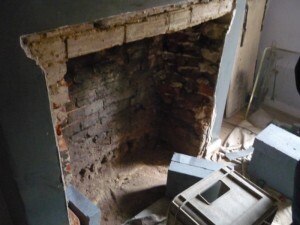 Their hallway fireplace as shown in the images had been blocked up. When we began to remove the fireplace, you can see from the image that we discovered that the whole chimney was filled with soot and rubble. 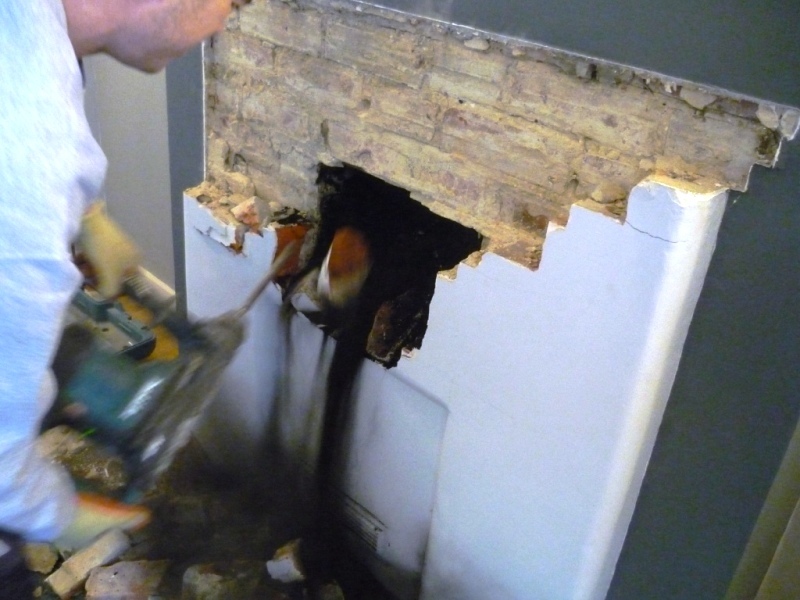 So much so that even the flue was blocked. 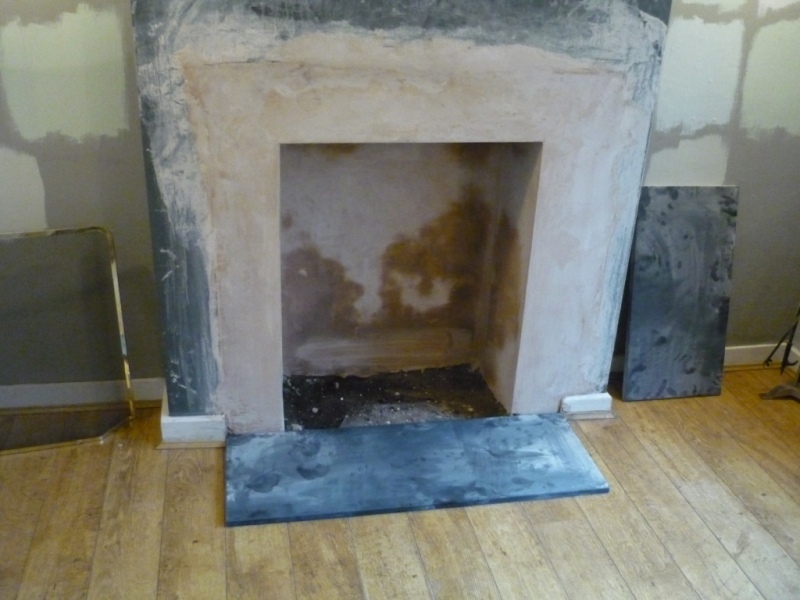 Consequently, our chimney sweep had to remove two sacks of soot before we could start any installation work. 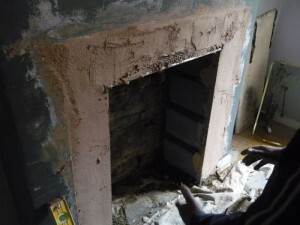 Once the chimney was clear, we opened up the fireplace to create a large enough opening to fit an Ecoburn 5 Stove from Aarrow. 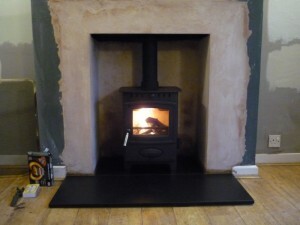 In addition, we fitted a new honed black slate hearth to complement the stove’s appearance. For more information on Ecoburn stoves from Aarrow, contact The Billington Partnership.